Amazingly, this is as true today as it was in 1937 when he spoke these words. Only the dramatic effect has been heightened by the intense urban development now surrounding Washington Grove. 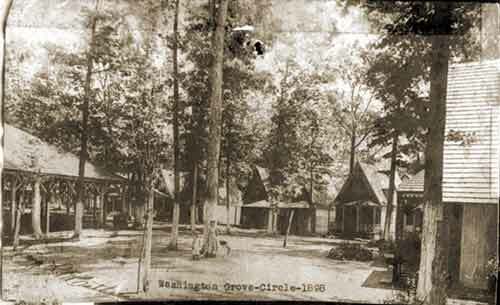 The fact that Washington Grove has survived, integrity intact, may bear witness to its origins. Perhaps there are lessons to be learned from its history. Two forces gaining momentum in the decade before the Civil War were critical to the founding of Washington Grove: the pioneering Baltimore & Ohio Railroad and the phenomenon of religious revivals called camp meetings. When life finally returned to normal after the war, the business of railroad building and the religious fervor of camp meetings got back into full swing. As President Grant was entering his second term, a number of Methodists in Washington, DC were looking for a permanent place in the countryside for religious retreats. By 1873, the new Baltimore & Ohio Railroad Metropolitan Line stretched northwest from Washington into rural Montgomery County as far as Gaithersburg. That year, a committee representing several Methodist churches in Washington looked at possible sites and settled on a parcel of 267.5 acres along the rail line available for $6,636.25 from the widow and children of Nathan Cook. They chose the site for its healthful elevation, rich forests and bountiful springs. Since the B&O Railroad was looking for business on its new line, it provided reduced rates to the camp meeting participants. 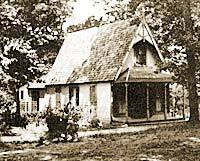 In June of 1873, an organizational meeting of the Washington Grove Camp Meeting Association was held at Foundry Church in Washington to describe the proposed campground and solicit stock subscriptions at $20 a share. The land was conveyed to the Camp Meeting Association on July 3, 1873, and a “monster picnic” took place there on July 4, perhaps beginning one of its many traditions. At the first ten day camp in August, two hundred fifty-eight tents were laid out in a grid plan of avenues on the high, flat ground near the center of the camp; lots for small tents measured 15′ x 20′; for larger tents, 15′ x 30′. Despite nearly constant rain, it was a huge success. A simple depot had been erected; paths cleared; platforms built for tents, speakers and storage sheds; and half of the total shares had been sold. Everything looked bright, until the burgeoning national economy crashed in September. The Panic of 1873 raised questions as to the viability of this new venture, but the B&O kept running (on a reduced schedule, with improvements delayed) and the majority of the Camp Meeting Association stockholders were able to maintain their investments. The 1874 camp meeting saw a change from its original grid plan: the Sacred Circle (albeit an irregular polygon) was established with a speakers’ platform in the center, tent sites around the perimeter and six (later seven) avenues radiating from it. This camp lasted two weeks with reportedly 250 campers and 10,000 visitors. A Tabernacle was built in the middle of the Sacred Circle for the 1877 camp. An open-air, hipped roof chapel, it measured 70′ x 48′ with perimeter support posts about 12 feet apart. A belfry was later added to the roof to hold the bell which had originally hung in a tree and which now hangs from the porch roof of McCathran Hall. A wooden floor was added in 1884, as well as a means to close it up for the winter. By 1902 the crowds coming to Washington Grove outgrew the Tabernacle’s 500-person capacity. The Grove had become a stop on the Chautauqua circuit. Secular programs on music, literature, philosophy, self-improvement and other enriching entertainments were drawing even bigger crowds. The Assembly Hall, a wood-shingled, multi-windowed octagon was built that year as a chapel and to accommodate the Chautauqua activities. By 1905, however, neither the Tabernacle nor the Assembly Hall could hold the multitudes. The Auditorium, with a capacity of 1,400 was built in Woodward Park; it became the focal point for community life, and the Tabernacle was razed. The Assembly Hall which remained was renamed McCathran Hall in 1957 in honor of retiring Mayor Roy McCathran. It serves as the Town Hall, and since the demolition of the Auditorium in 1963, it has become the social center as well. In 1948 and 1962, attempts had been made to open a profit-making summer theatre in the Auditorium, but they failed. The fateful decision to raze the Auditorium was passed at Town Meeting by a single vote. It had fallen into disrepair and its need pre-dated the availability of government grants for historic preservation by just a few years. Some of the earliest cottages that exist in the Grove derive in part from the tents that were pitched along carefully planned avenues. The number of tents grew each year. Gradually their canvas sides were replaced with wood and eventually they were completely replaced by narrow Carpenter Gothic Cottages right on the tent sites. The cottage style also derives from the popular plans for romantic rural Gothic cottages that were published in the mid-nineteenth century. The Carpenter Gothic style was an American adaptation of the English Gothic Revival style, which combined a reaction against Classical styles with a fascination for the Christian medieval past. The invention of the jigsaw and the availability of wood permitted the Carpenter Gothic style to flourish, giving every carpenter an ability to personalize simple wood structures. Typically, the prominent gable front of these steeply pitched-roof cottages was trimmed with elaborate bargeboards, with a pendant and spire at the peak. A small window in the gable might be oval, crested with a scrolled lintel or fitted with stained glass. The porch, facing the avenue and often wrapping around the sides, was important functionally as well as stylistically. The cottages built near the Sacred Circle were referred to as the Tent Department. The area outside the original encampment was referred to as the Cottage Department. 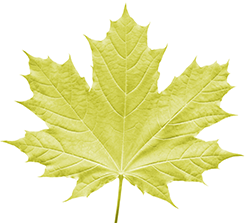 In 1880, a rule was established to give trees priority in the siting of cottages. The rule was later extended to avenues, permitting only minimal cutting of trees to extend the right-of-way. In 1881, a uniform standard of 50′ x’150′ was set for lot size. In the late 1880s, there was a second wave of building, primarily between the railroad tracks and what is now Center Street. The town plan developed from the early camp plans and was solidified by the Maddox survey and subdivision plan of 1897. It maintains the avenues or walkways in front of the cottages with vehicular roads at the rear, in a combination of grid and radial plans. Fortunately, the Grove was never developed to the 1897 potential. For example, a decision was made many years later to preserve the East Woods and not develop them; the present paths and fire breaks are vestiges of the 1897 plan. The resulting town-within-a-forest landscape exists only because it has been zealously guarded. From 1905 to 1910 the density of the Circle was reduced by moving some cottages to other sites, sometimes combining them with other cottages. In order to control development, the Association passed a resolution in 1918 to prevent any shareholder from accumulating enough shares to dominate the organization. In the 1920s, the Grove began to be a year ’round community. It required more than a religious association to govern it. In 1930, the idea to merge with Gaithersburg was resisted; but in 1933, the decision was made to reorganize into a municipal corporation. By 1937, the Camp Meeting Association was dissolved, and the Town of Washington Grove was incorporated with a Mayor and Council/Town Meeting form of government. The World War II housing shortage in Washington brought an influx of new residents. They carried on the spirit of the Grove with a fresh energy and purpose. In 1951, a decision was made to rebuild Maple Lake, and not to sell the West Woods. In 1955, the town acquired its own planning and zoning powers; one of the most critical factors of its whole existence. Forces of development were being felt just outside the boundaries. In the 1950s, HUD urban renewal programs obliterated the old community of Emory Grove to the north. Later the I-270 corridor brought intense commercial and industrial expansion. The town formulated and published a Master Plan in 1975, concluding that the Grove should remain as it had always been. In 1980-, the entire town was listed on the National Register of Historic Places, but preservation was, of course, never guaranteed. The challenges for survival continue. One of the greatest threats to be successfully averted was the multimillion dollar suit by the Southland Corporation, owners of the 7-11, when the town restricted zoning at the commercial corner. The community seems to have developed organically with new traditions gracefully growing out of the old: the Fourth of July Parade, concerts and lectures in McCathran Hall, the Baroque Breakfast at the Gazebo, Labor Day field events and Triathlon. Obviously, Washington Grove is no longer a rural retreat. The train, Metro and I-270 provide it with as efficient access to Washington and major workplaces as any other suburb; but it still remains a town within a forest and an oasis of tranquility for its residents. 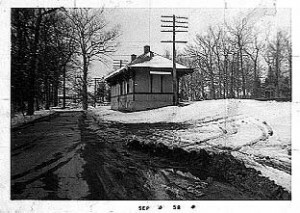 In 1992, the Grove expanded its border across Ridge Road to include property being held in reserve since 1949 by the Washington Suburban Sanitary Commission. This property, across from Ridge Road at Center Street, was surplused by WSSC and sold to a residential developer in July 1999. Formerly the site of an old farmhouse and barn, a 3-acre parcel at the intersection of Brown Street and Ridge Road was annexed in 1994. The Ward Corporation built 8 homes along this section of Brown Street. Additional Ridge Road properties were annexed in 1995 and 1999, respectively, when 301 Ridge Road in Washington Grove Hills and 3 Ridge Road, adjacent to the industrially zoned property at the Railroad Street intersection, were included within the Town’s corporate limits.